UPDATE!!! THE LADY VOL NAME AND LOGO IS BACK! Athletic Director John Currie held a press conference the afternoon of September 14, 2017, nearly three years after the decision to remove the logo and name was executed. In this press conference he restored the Lady Volunteer logo to its rightful place in the University of Tennessee Athletics. I am so overwhelmed with gratitude, emotion, joy, shock, and pride that the University was able to come to this decision. A LOT went on behind the scenes to make this happen. A lot of young women bravely stood up and put themselves in scary positions to stand up for what they believe in. Those voices, the petitions you signed, the letters you wrote, the posts you shared and liked, the rallies you participated in they all played a part in making this happen. THANK YOU! THANK YOU! THANK YOU! We could not have done this without each and every one of your support. We will always be Lady Volunteers. And to Pat…You built this legacy. We honor you, this is for you. You taught us what it means to be a Lady Vol. A legacy of women with grace, class, respect, motivation, perseverance and hard work. That perseverance and HARD WORK is what got us here today. From the bottom of my heart, I cannot thank you all enough. WE DID IT! The Lady Vols are here to stay (not like we were going anywhere!) 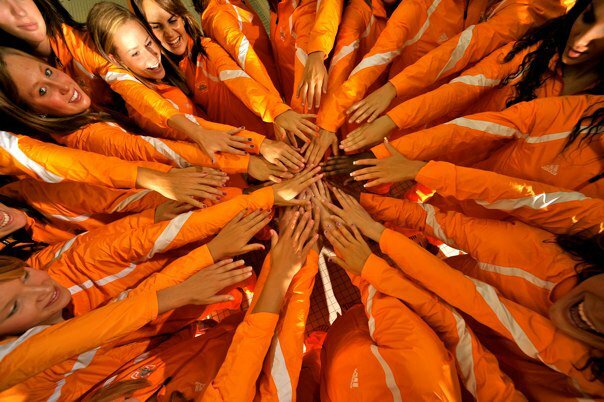 and I am so elated that future generations of athletes at Tennessee will be able to share in this special sisterhood. LADY VOLS FOR LIFE! Welcome to the Official Bring Back the Lady Vols Website! My name is Leslie Cikra. I am a former Lady Volunteer Volleyball Player and I am helping spearhead this website, along with the help of all of the contributing Lady Vols. During my tenure at Tennessee my class finished with a 99-27 record overall, the highest winning percentage in program history at .786 and my team was 2011 first-time-sole SEC Champions. I have been working with a handful of other former Lady Vols to bring awareness to the Tennessee athletic department’s decision to remove the Lady Vol logo. We are all deeply disappointed and hurt by the University taking away this tradition for all women’s sports with the exception of basketball in an attempt to rebrand athletics. The University of Tennessee announced a branding restructure within their athletic department on November 10, 2014. Click here to see the original media release from UT. I quickly realized the magnitude of people affected by this change, including former, current and future Lady Vols. Since we launched we have reached over 15,000 people, not including those who we have touched via multiple radio interviews and our visit to the Tennessee State Capitol. This website is going to be a running collection of letters. We hope that you will all take the time to read the letters. It will help explain through the eyes of the Lady Vols the impact that this decision will have, not only on former athletes, but also on the future of Tennessee athletics. Please refer to our LETTERS tab to find the letters from Lady Volunteers, and please join us in our fight by signing our change.org PETITION to bring back the Lady Vols! Please note: This webpage is not affiliated with the University of Tennessee. It is a representation of the views of myself and other contributing former Lady Volunteers. Coka-Cola did something very similar to this once, they created New Coke and discontinued Coke. This was not well accepted by the public, much like doing away with The Lady Vols, After about 6 to 8 weeks, Cola-Cola realized thay had made a major mistake. The comapany took quick action to correct their mistake, unlike UT. Coke was rebranded Classic Coke and New Coke went by the way side rather quickly. 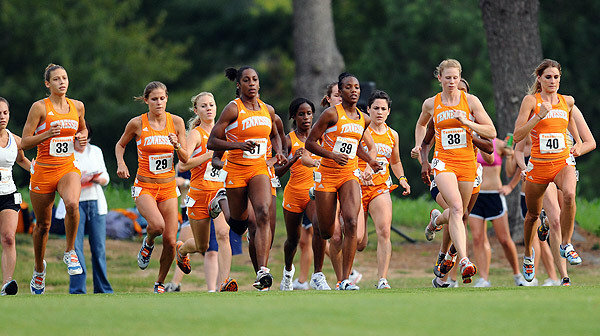 We can only hope that public outcry will bring back The Lady Vols to ALL women sports. As football season begins i hope this movement will gain more support on and off campus! The Feb. 1, 2016 “compromise ” which was just announced saying that a Lady Vol “patch” for all sports for one year was an acceptable approach is simply ludicrous. After one year, that athletes could then “choose” if they want to wear the patch. The contents of the memo were altered at the last minute to add the one year statement. Folks commenting on t.v. did not even know the complete contents of the memo which had been released moments beforehand.The pressure on the athletes from Cheek, Hart and the rest of the administration would be so great that it insures the end of the tradition that 28,000 people have tried to save. The arrogance of the current administration is unprecedented. It is exceeded only by the administration’s ignorance of the damage their actions are doing to U.T.–and to women’s programs throughout the school. They have moved U.T. back to a “pre-Title IX” mentality. It took us years to create the Lady Vols program in the ’70’s–we must not back down with a little crumb from the table. We must simply speak with even louder voices. Saving the Lady Vols is worth at least a decade long effort. While I am not a former Vol athlete, I have served as president of the National Alumni Association and my wife, Mary Jo has chaired the University Womens’ Council. We have supported the Lady Vols both emotionally and financially for many years so I hope that we are qualified to leave a comment on this web site. We are both INCENSED that Athletic Director Hart, supported by Chancellor Cheek have arrogantly decreed that a patch worn for a year equates to returning the time-honored Lady Vols name. Please keep up your efforts to restore this tradition and name.